Nokia Cellphone gets the Ride of it’s Life! We recently worked with New York marketing agency Cohn and Wolfe on an exciting new campaign for Nokia. To showcase the superb new camera capabilities of the phone, we took it for an exhilarating ride on our RC Helicam. After crafting a special new support to fit the phone onto our gyro-stabilized camera gimbal, we mounted the phone and flew it where (we’re pretty sure) no phone has gone before! Rising up steep cliffs, creeping into a waterfall, soaring over stunning beach and canyons, and even drifting out across a rusty shipwreck – we didn’t hold back. 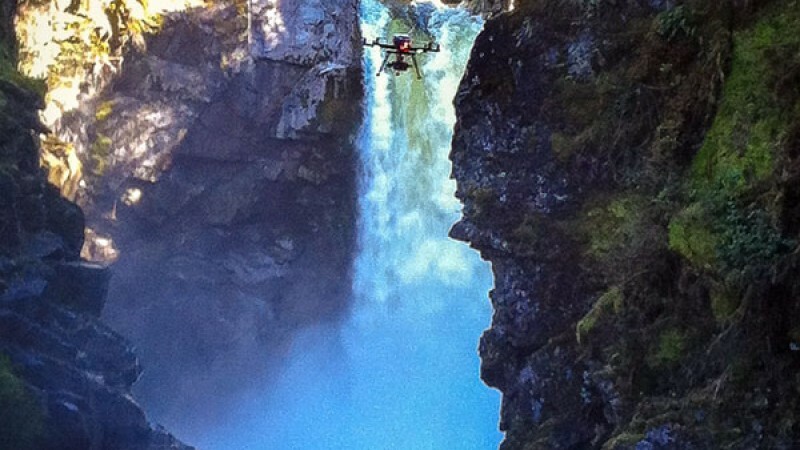 This was a really exciting project for us, with responsibility for scouting the locations, devising a new mounting system and of course flying our RC helicopter through some unbelievable terrain. We really enjoyed working with Cohn and Wolfe!